When setting out on a cruise vacation, most people are looking forward to blue skies and endless opportunities to explore. While this may be exactly what the majority of passengers plan to do, you may be surprised to discover that there is the potential for some of individuals aboard your cruise are also there for purposes that are more sinister. Smuggling drugs from one port to the next happens more frequently than most would think. In 2016, an especially noteworthy case made headlines when three individuals attempted to smuggle 30 kg of cocaine aboard the Sea Princess into Australia. This week, the first of the three accused smugglers, Isabelle Lagace, received her sentence. An Australian judge sentenced Isabelle Lagace to four years and six months in an Australian prison for her role in what became the largest drug bust of its kind at sea. According to reports, the 29-year-old Canadian national participated in the smuggling operation in order to help pay off outstanding loans. The other two individuals involved have yet to stand trial. In the wake of this court decision, we are compelled to remind both passengers and crewmembers not involve themselves in any criminal activity, on the vessel or in any of its Ports of Call. Given the various locations your cruise ship will dock at, criminal acts committed in route or at that a particular Port of Call are dealt with by the authorities at the location where you are turned over to and not back home at the end of your voyage. Unfortunately, some individuals believe that the potential financial gain is worth the risk, however, in this specific case, Lagace’s possible maximum sentence was life imprisonment and in other countries, it is the death penalty. Therefore, before agreeing to smuggle illegal substances with you, or commit any other crime we urge you to consider the possible consequences. 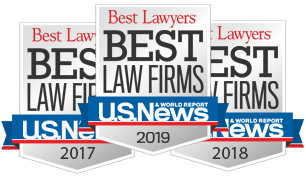 At Lipcon, Margulies, Alsina & Winkleman, P.A., we have helped countless clients navigate the treacherous legal issues associated with accident and injury at sea, each maritime lawyer on our teams knows what you are facing and how best to help you during your recovery. Given our 100 years of combined experience in the field, you can rest assured that you will be in the best of hands with us. Therefore, when you are ready to move forward and put your legal stressors behind you, do not hesitate to contact us.